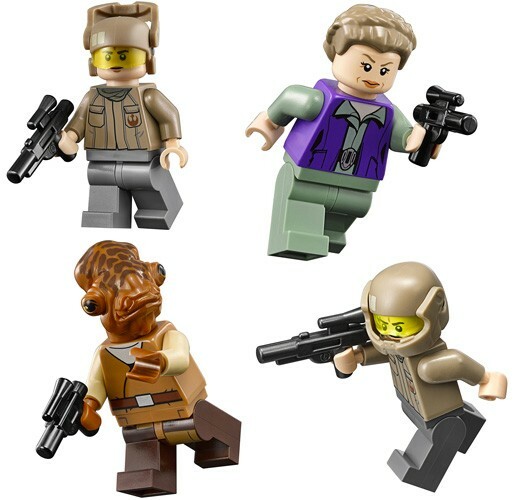 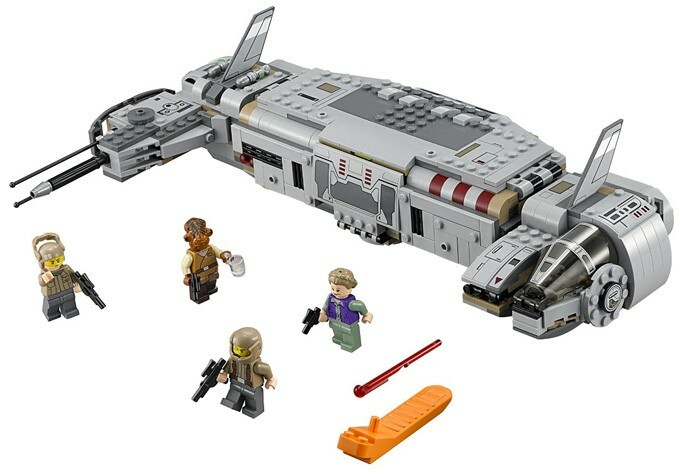 Transport General Leia, Admiral Ackbar, and the Resistance Troopers into battle in the heavy-duty Resistance Troop Transporter! 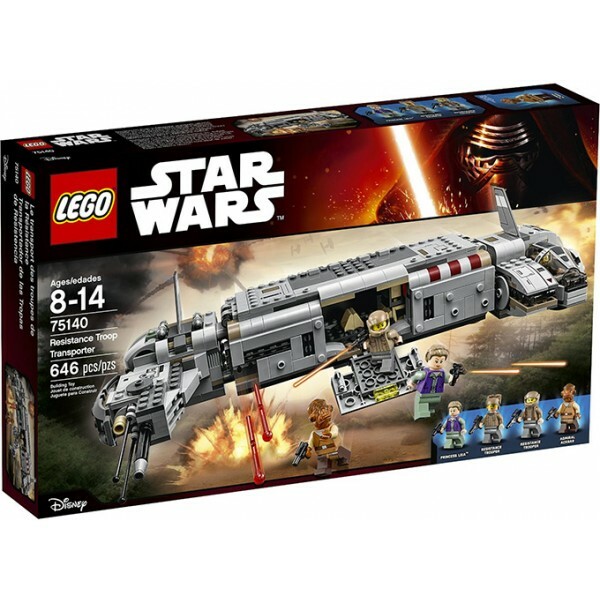 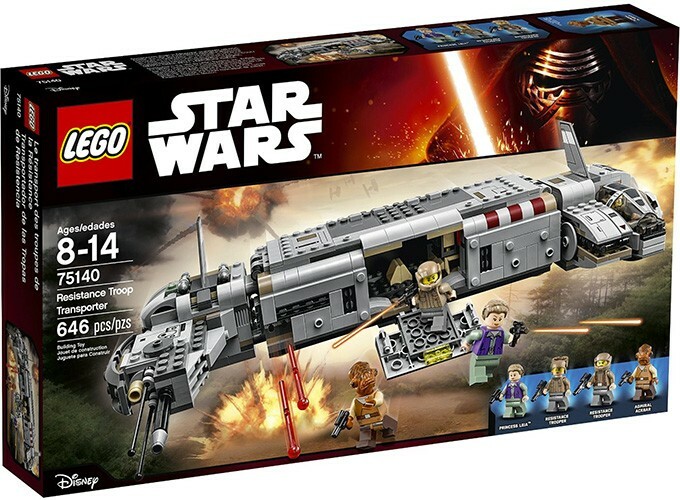 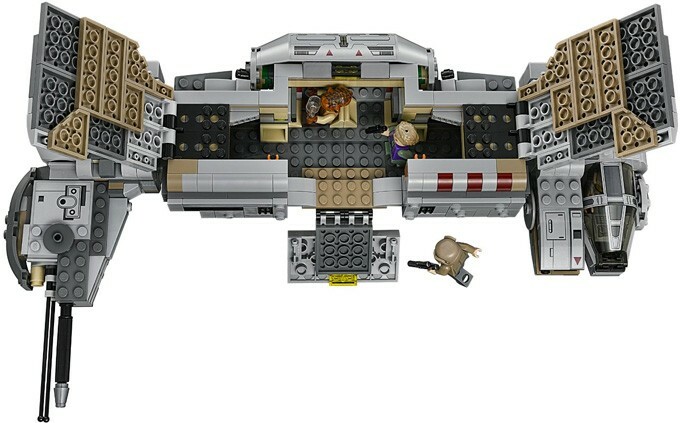 This LEGO version of the starship featured in Star Wars: The Force Awakens has opening top hatches and cockpit, a lowering ramp, space for 4 minifigures inside, as well as dual spring-loaded shooters. 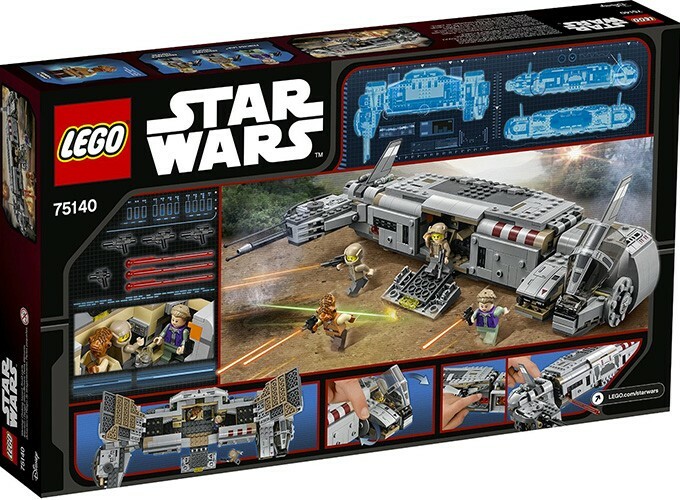 This 646-piece set will provide plenty of building and pretend play fun.